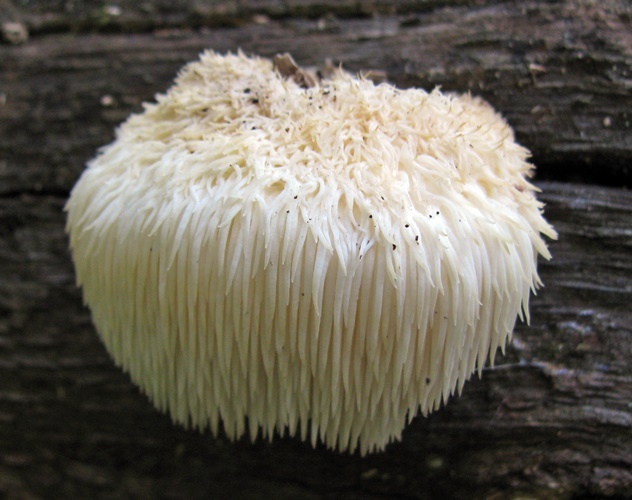 fruiting body is a white, unbranching, oval-shaped mass up to 40 cm broad, draped with long white spines, each up to 3 cm long, yellowing in age. fruiting body is anchored to a tree by a solid, white base that is hidden from view. grows alone from wounds on hardwoods. flavor and odor is mild and pleasant; cook before eating.